2010 cobalt ls xfe here. I am having trouble locating if I have the grey wire or not..
Do you mean the grey in the BCM? Did you take out the BCM-2 connector? I've just finished installing my leather/cruise control wheel in my 2010 XFE. I didn't have the wire in pin 61 or the two wires for the audio controls. There is one thing that is different is that on mine. The HU plugs are square and not round. I didn't try to use the .64 mm square type ends the DIY instructs to use but, IMO they are of a different style. I just have to wait later this week to take my car to the dealer ship and get my cruise control programmed. So hopefully my install is successful! was attempting to swap my wheel. wasnt successfull. put everything back together. the airbag was in wrong. than i finally got the airbag out. put it back in all fine and put my negative back on and now it says service airbag..
Have you tried unhooking the negative battery terminal? fixed it. it was those small plastic safter clips. I have a 2007 I added the wheel. The stealership wont flash some new directive is there a way around this? Can I take it somewhere else? Anybody around Indianapolis that can do it Ill gladly pay few hundred to make it work!!! The stealership was informed to "Show me car on lot"
Find another dealership...seriously. The only action required is to adjust the factory settings in your BCM to accept (turn-on) the cruise feature. Here's a repeat of the instructions found on the first page of this How To. My dealership charged an hour labor for this simple process. 1. Using their tech2, "build" the car. 2. Select Vehicle Control Systems, then navigate to Computer/Integrating Systems. 3. Once in the Computer/Integrating Systems menu select Module Replacement/Setup and follow the instructions on the scan tool. 4. It will ask a bunch of questions regarding the options on the car, one of them will be about the cruise control, just say yes it does have this option. Good luck and find a garage who wants your business. all i have to do is get steering wheel buttons , (the audio on the right side and than the ones on the left that have info and cruise on them) than plug them into the plug on the steering wheel. i dont care bout cruise.i just want info and back arrow and the volume buttons on the right side of the wheel to work. All i need is the Axxess ASWC harness wire it up and the buttons on the wheel will work to control the audio right? and info and back arrow work instantly right? can anyone help me out with my questions? all i need are the controls and the Axxess ASWC correct? and the controls plug into the shown harness that is wired to the harness in back as shown here that plugs into thecar. Hey BlackXFE, I have a 2010 cobalt and I have the same connectors that you do. What pins did you put the two radio control wires into? I haven't been able to get my steering wheel controls for the radio to work yet.. i think its because of pinout differences. I have the pins that fit that I got from a donor car, but it seems like the pinouts have changed because going by the directions on here, one of the pins went to a wire already there.. and that wire was green... it did not connect to the SIR connector either.. i tried the pin right beneath it, and it didn't work... not surprisingly... any advice... or any advice from somebody who has successfully completed an install with a 2010 cobalt LS model? My cobalt also has satellite radio and onstar if that makes a difference. Thanks! Any luck yet? I can't remember right now but, I'm going to be installing a new HU soon so I'll take a look then. okay, ive been reading this thread and looking up information and im stuck on one part. if i wanted to just buy the controls and harness, do i still have to run those 4 short wires in the SIR in step 2? i know i will still have to run the wires to the bcm and radio. those 4 wires are confusing me a little. or should i just get wires and switches? 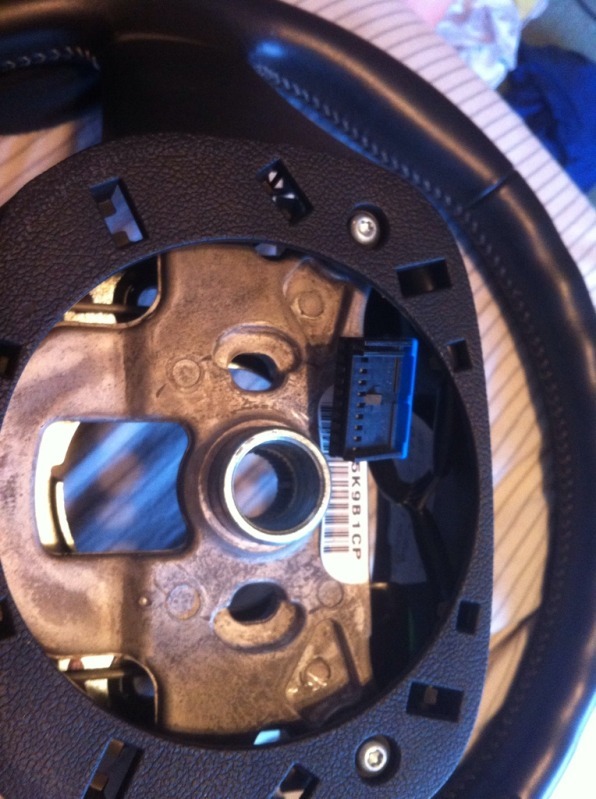 Isn't it cheaper to buy the wheel with the switches instead of piecing it together? Yes it is. Ebay $45 and free shipping comes with the wiring harness and leather wheel with both sets of buttons. Finally did this to my 2009 cobalt LS XFE. Was surprisingly easy and the total cost for me was $50 with a leather wheel, scrap BCM harness and wire. For the power instead of splicing into another wire I bought an adapter and plugged it into the fuse box (in a space bypassing a fuse but still in same spot as another fuse). Was able to program it for free with a friend, his dad works at Delphi and we were able to obtain a tech 2 to use and programmed it our self with a bit of fiddling since the instructions aren't exactly the same. Found out there is no need to get square connectors as even with the square connectors the circle ones both fit in and work. The Stereo was square but is working with round connectors. I just did this upgrade on my '07 G5. 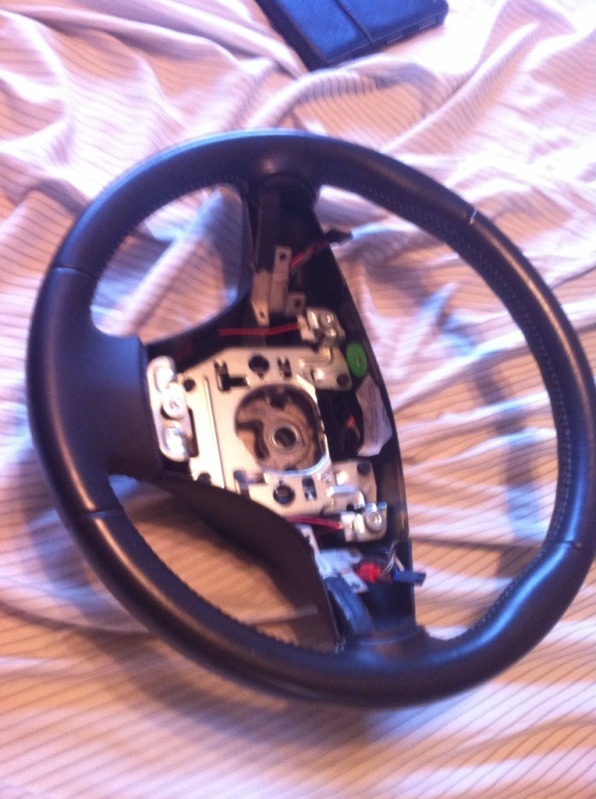 Got a new steering wheel on ebay for $65, (includes all the switches and the harness - plug and play - now they are on sale for $58.50 with free shipping. Swap is really easy, radio controls work perfectly just need to find a dealership in MA to reprogram the BCM for the cruise control to work. I used the harness that came with the new steering wheel - I did not change any wiring in the car itself - it was all already there. The old steering whee assembly and harness all came out as one piece and was replaced by the new wheel/harness. I am not sure about Cobalts as they came with a trim level below what was offered on G5s - you might have to add some wiring as the How-To shows. I disconnected the negative battery terminal and was very gentle with the airbag connections. Follow the directions closely here - do not damage the connectors. 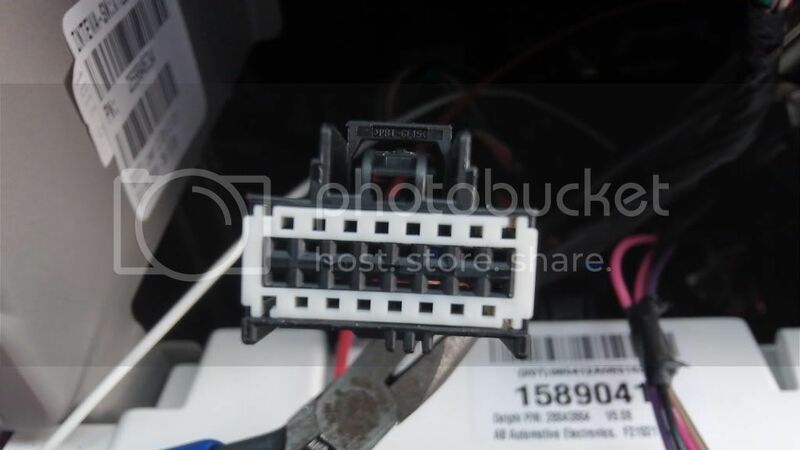 If you damaged the connectors or the clock spring that the harness plugs in to - you may have to replace the clock spring. I have no warning lights or other issues. You might have to check to see if you connected the airbag correctly or if you pinched/cut the airbag wiring harness. The radio controls all work after installation - the cruise control light on the switch lights up and I have the correct wiring on the BCM harness - I just need the BCM reprogrammed. Just had the install done last Saturday on my 08 Cobalt LT. Got the steering wheel off of Ebay with cruise and radio controls (it came with the harness too). New wheel plugged right in and radio controls immediately worked. A quick reprogram of the BCM by my brother-in-law and the cruise was working as well. Everything took literally 30 minutes. anyone know what connectors to get and where to get them? 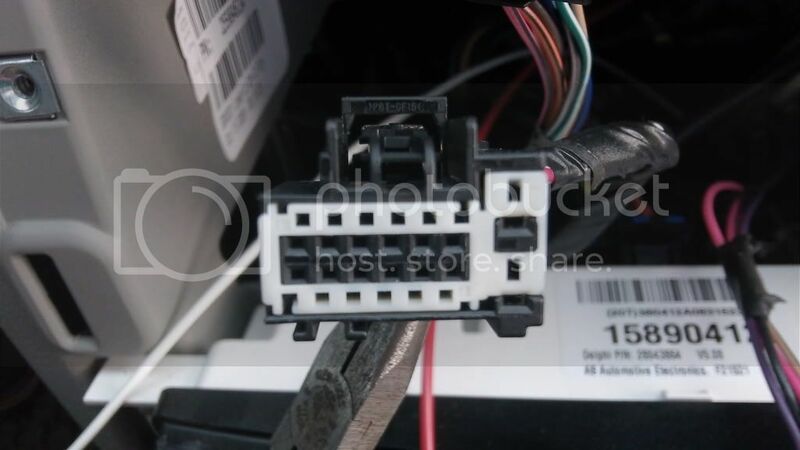 If you want some micro connectors I have some left from my install (or just go to a local junkyard with an 07+ cobalt). It cost me $2 for about 50 connectors.